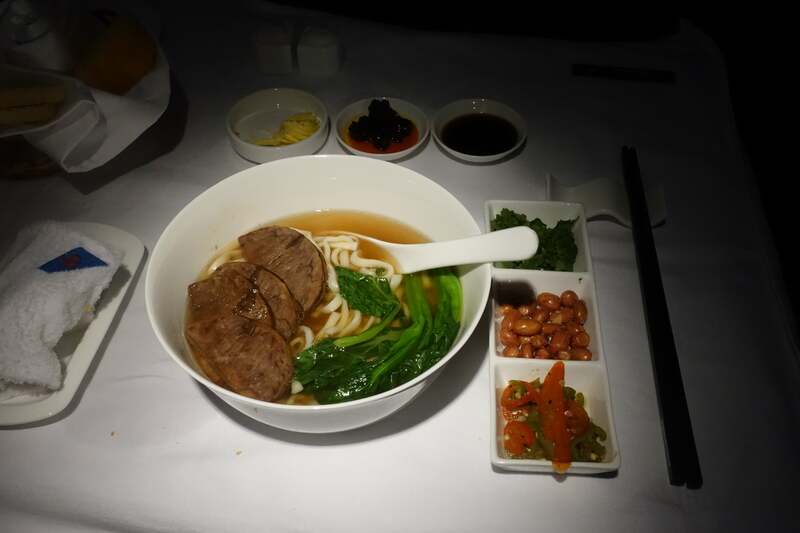 While Chinese airlines don’t have the best reputation in the aviation industry, they’ve been making positive strides over the years and I experienced just that when flying China Southern. The Pros: a convenient schedule and great award availability. The Cons: a sad lounge; mediocre food and beverage. I recently found myself in Guangzhou for the second time. The city is located several hours from Hong Kong in mainland China and is one of the manufacturing capitals of the world. I was actually there to attend the Canton Fair — you’ll find out why soon enough! When I found myself having to go back to New York, the nicest way would have been to drive or take a train and fly out of Hong Kong (HKG) on Cathay Pacific, but there was no availability and that would have added several more hours of travel time after what had already been an exhausting week. 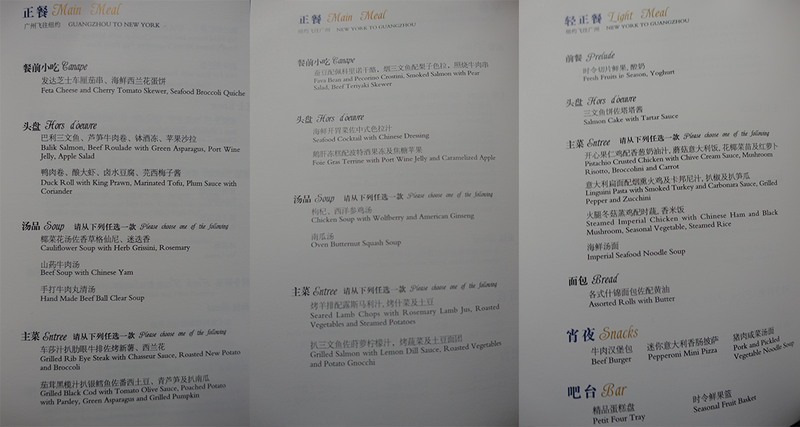 I decided to check out China Southern’s first class from Guangzhou (CAN) to New York (JFK). There were several different flights to choose from depending on the day of the week, so I picked the one at 1:40am. Departing at this time would allow me to make the most of my day in Guangzhou at the Canton Fair and then fly home without missing a day of work in New York since I would be landing at 6:00am. I booked a round-trip flight from Guangzhou to New York by transferring 200,000 Chase Ultimate Rewards points to Korean Air, with the first leg on China Southern and the return trip from New York to Shanghai on China Eastern for later this fall. Booking through Korean Air is one of the best ways to redeem miles to Asia since it offers reasonable rates for first class — you can’t book first class on partner airlines with Delta SkyMiles, which is why I used Korean Air — and you’ll have a better chance of actually finding availability. Note, though, that you’ll have to book a round-trip flight since you can’t book one-way trips on partner airlines through Korean Air. You can also book China Southern and China Eastern award flights through Delta and other SkyTeam partners, but only up to business class and not first. Delta charges at least 160,000 SkyMiles on this route for a round-trip ticket in business-class, so for only 40,000 more miles, you can fly in first class, which is dramatically better, as you’ll find out in this review. To help rack up some Ultimate Reward points, consider signing up for travel credit cards like the Chase Sapphire Preferred or the Chase Sapphire Reserve, which each come with a 50,000 sign-up bonus after you spend $4,000 within the first three months of opening your account. 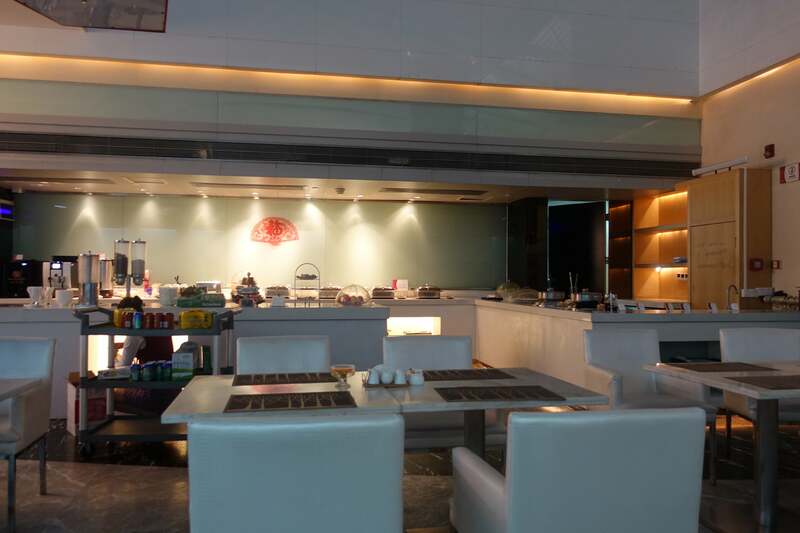 When I got to Guangzhou Baiyun International Airport (CAN), there was a cute little house-like VIP first-class check-in area. There was no line so I checked my bags and it was easy-peasy. I then went through security and customs, which took about 25-30 mins. 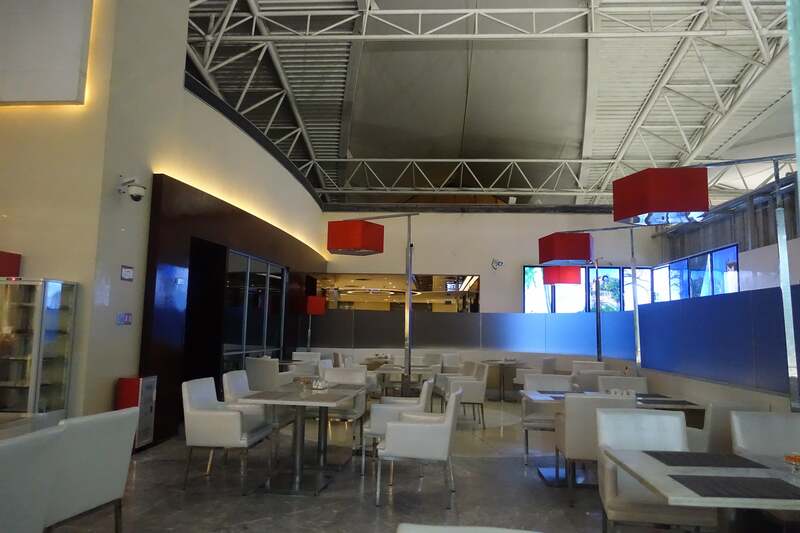 After security, I headed to the lounge, which was so empty I thought it was actually closed by the time I walked in. I knew it probably wouldn’t be too crowded because my flight left at 1:40am, but the lights were off and it looked mostly shut down except for one other passenger who was there. 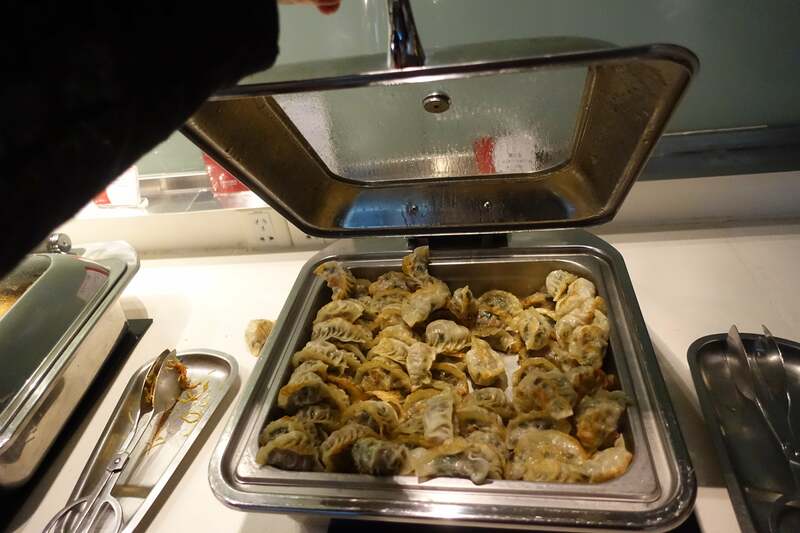 It was a pretty lackluster spread with some cheeses, dumplings, fried chicken legs and bread. Overall, it was like being in a bottom-of-the-barrel Priority Pass lounge at best. I also tried the noodles, which actually weren’t that bad. 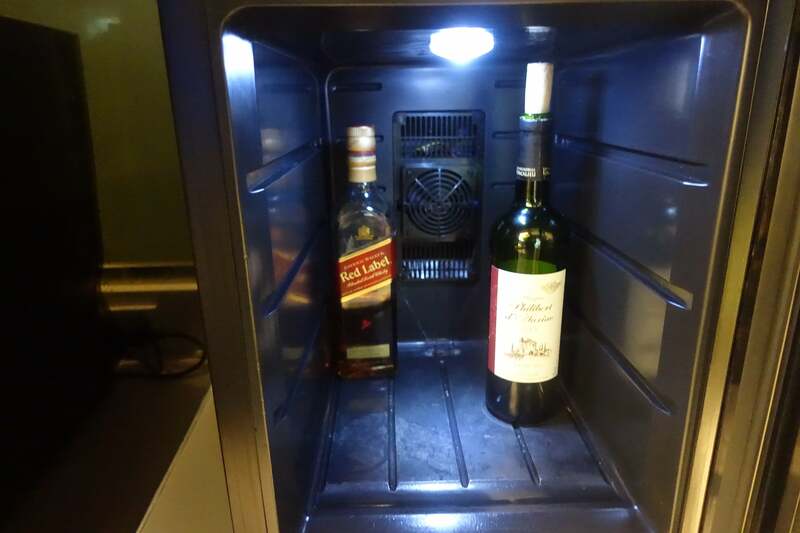 The liquor selection consisted of a single bottle of Johnnie Walker Red Label whiskey, a bottle of red wine and a nearly empty bottle of white wine. I asked if there were more beverage options available and the lounge attendant said no. I’d give this lounge a solid D — it would have been pretty bad as a business-class or shared lounge, but considering it was supposed to be a first-class product, it was awful. I headed to the gate and boarded the aircraft on time. There are four first-class seats on the 777 that look almost like suites that close off — unfortunately, they don’t. 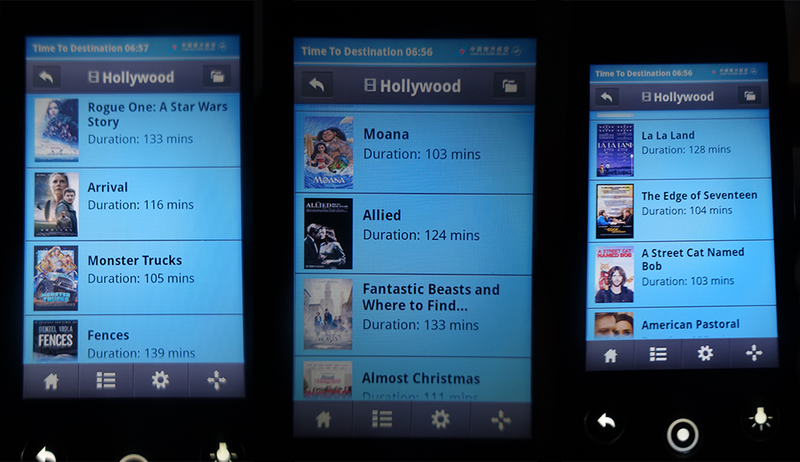 If you use Expert Flyer, it will often show nine seats that are available in first class, which obviously isn’t true. I’ve found award availability to be incredible on pretty much any day of the week on the New York to Guangzhou route. Three out of the four seats were taken on this flight. The flight attendants came over with Champagne, which was a surprise, unlike the $5 Duc de Paris that Ben at One Mile at a Time had experienced. The flight attendants served me Taittinger Prelude, which goes for at least $75 on the ground and was pretty decent. The other wines seemed okay, too — options included 2011 Chateau de Camensac red blend, a 2012/2013 Maison E. Guigal Crozes Hermitage, a 2012/2013 Joseph Phelps Napa Valley Cabernet Sauvignon, a 2013 Chablis from Domaine William Fèvre, a 2014 Mata Estate Vineyard Sauvignon Blanc, and Château de Rayne-Vigneau. I think they only stocked one bottle for the entire flight — I had a glass when I was in the air, too, and then they told me they were out. And I definitely wasn’t flagged for being too drunk because there was hardly any booze in the lounge! I was so exhausted, I fell asleep right after takeoff — my American Airlines flight from Los Angeles (LAX) to Hong Kong (HKG) left at 1:40am, too — I tend to like late-night flights better because I’m so tired and can fall asleep quickly. According to SeatGuru, the seats are 26 inches wide, while the flat beds have 78 inches of pitch. I’m 79 inches tall and fit just fine, so I think they may even be longer than that. I slept for a solid seven hours after take off and woke up to have my meal. 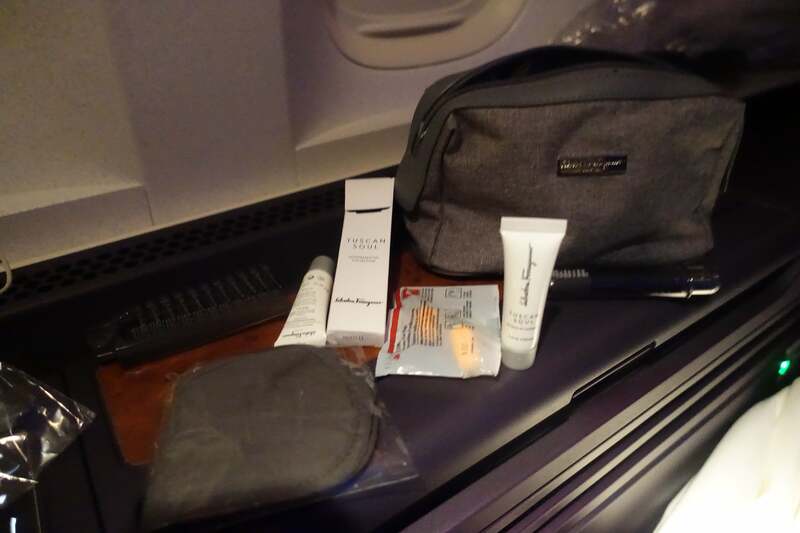 The amenity kits were totally par for the course; they came with ear plugs, an eye mask and a few creams. I don’t like Ferragamo products because all the lotions are way too fragrant for me — it’s almost not even lotion for me, but more like liquified cologne — but everything else was perfectly fine. The bed was a little hard but at least the pillows were comfortable. It was a nice, big bed and while the suite didn’t close off, it still felt much more private than the American Airlines Flagship First seat I’d flown in on the way over. 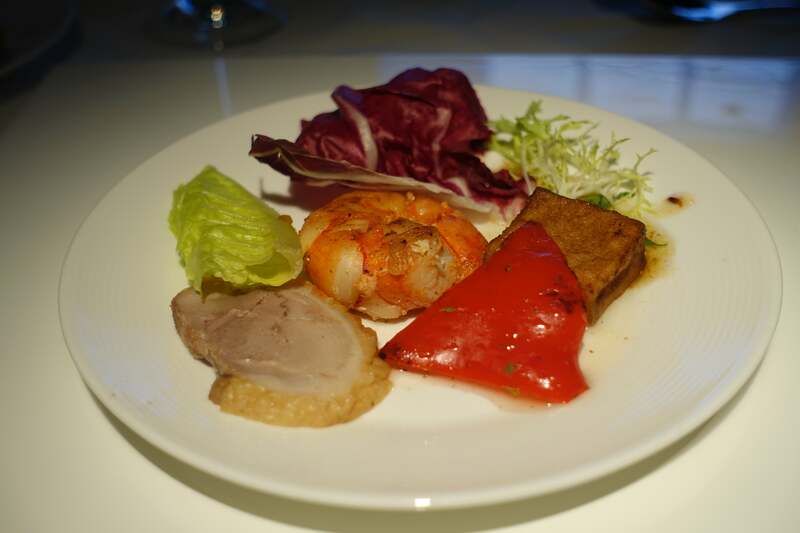 There wasn’t any caviar on this flight, but there was a duck and shrimp starter, which was colorful and tasty. 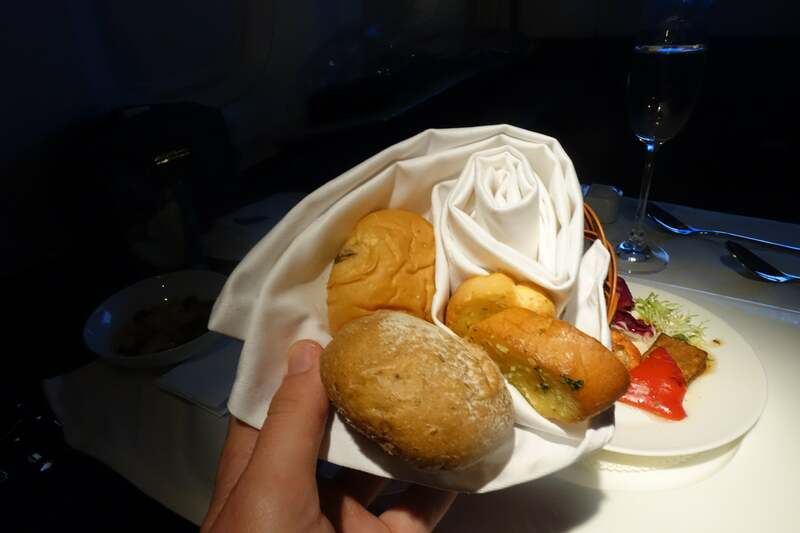 I had quite a few choices from the bread basket, including garlic bread, which is rarely bad, even on planes. Here’s a peek at some of the other menu options that were available. 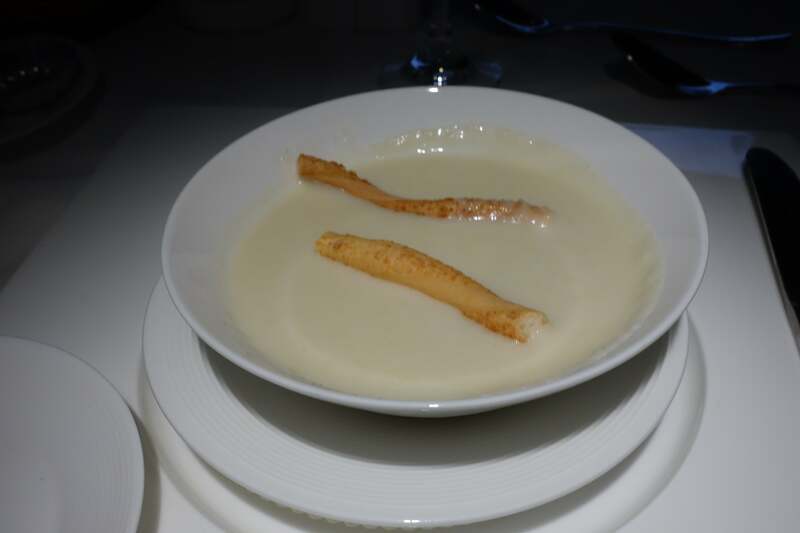 The cauliflower soup with cheese tasted better than it looked. I ended up going with the shrimp and abalone sauce entree, and it was okay, but nothing too amazing. 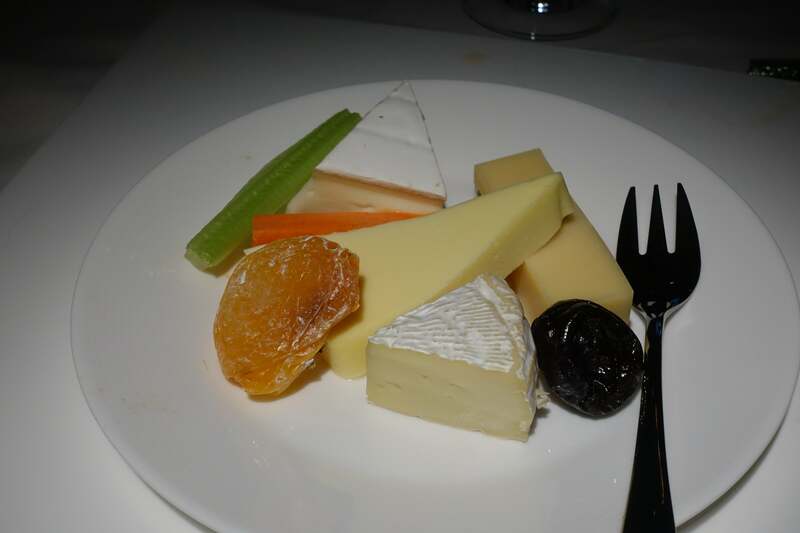 The cheese plate was pretty good, too, but then again, it’s pretty hard to mess that up. 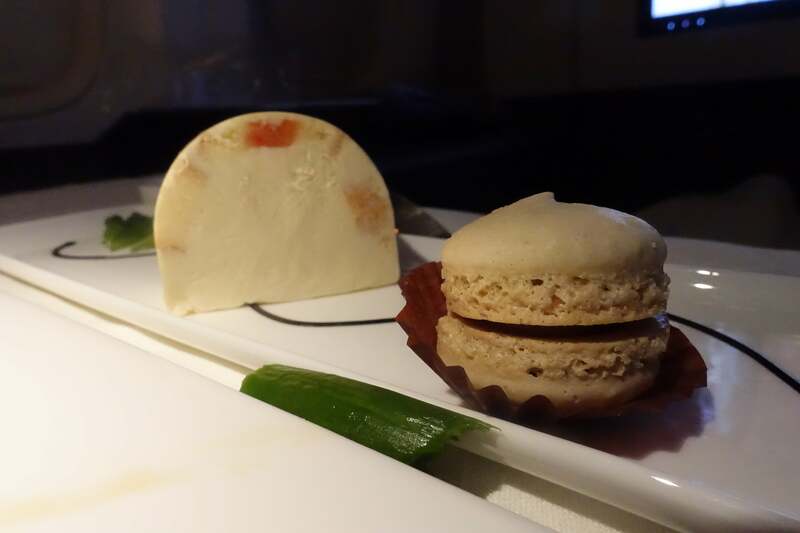 Then there was a piece of cheesecake and a macaron for dessert. I thought the breakfast was actually really good, too. The flight attendants brought out fruit and cereal — of course, I went with the Asian option for breakfast, which was beef noodle soup. 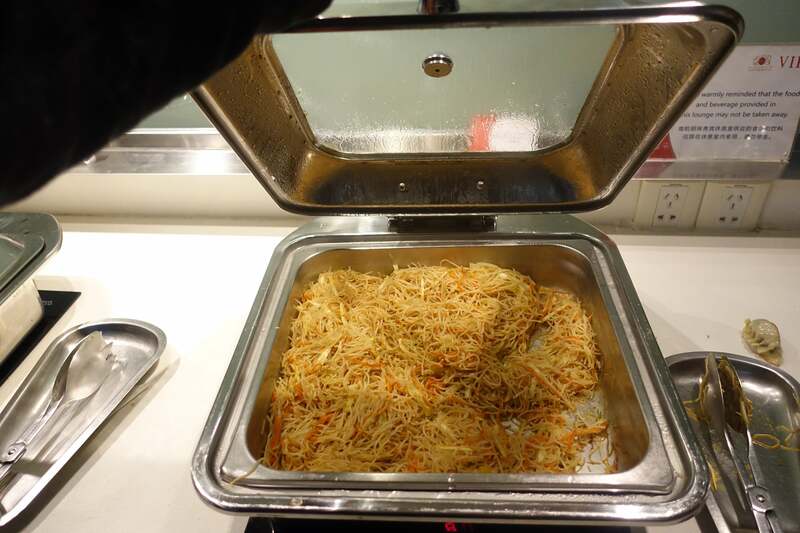 I wanted one last taste of Asia before I landed. The movie selection was actually pretty decent and I’d rate it better than the offerings I’d seen on American. There were a lot of really new films available — like Moana, Allied, La La Land, Fences and Arrival, among others — but all of them were subtitled. I went back to bed for another five hours and slept really well on this flight. There were no issues with anyone smoking in the cabin, like some pilots have reportedly done on Chinese carriers. I even landed at JFK a little early! 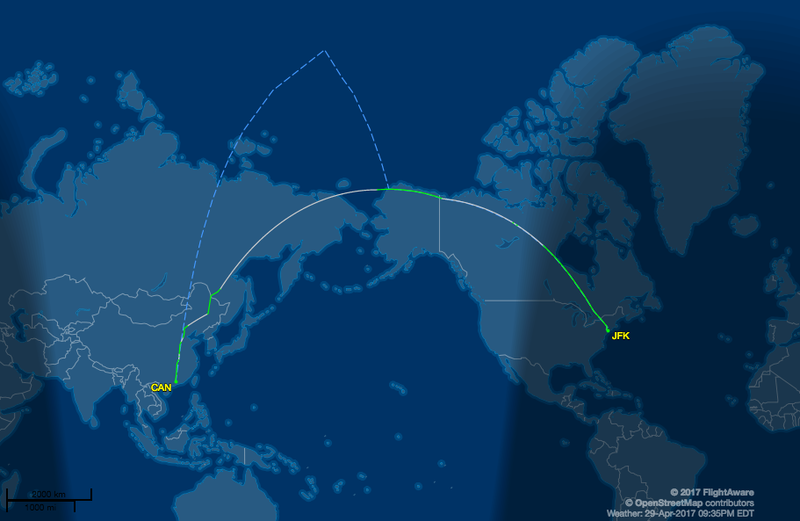 Here’s a look at the route China Southern’s 777 took on my flight. 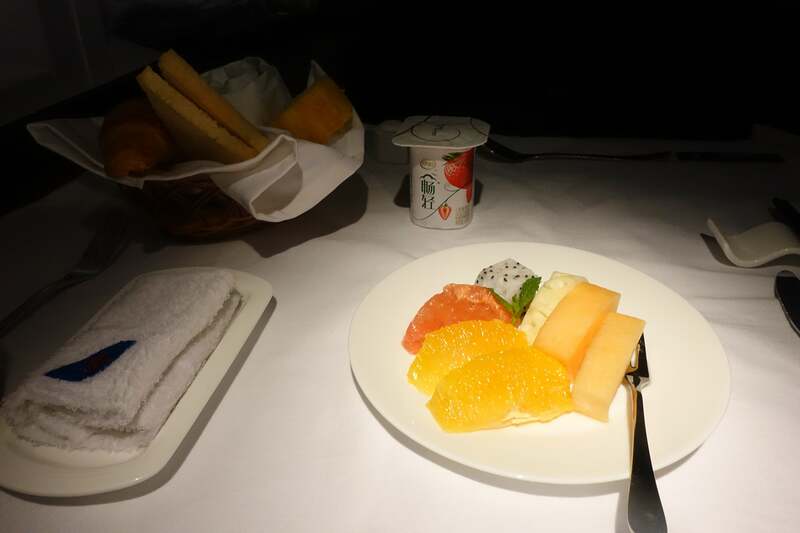 I thought the flight itself was fine, especially considering I was able to use 200,000 miles via Korean Air and Chase Ultimate Rewards points to fly from Asia roundtrip in first class. 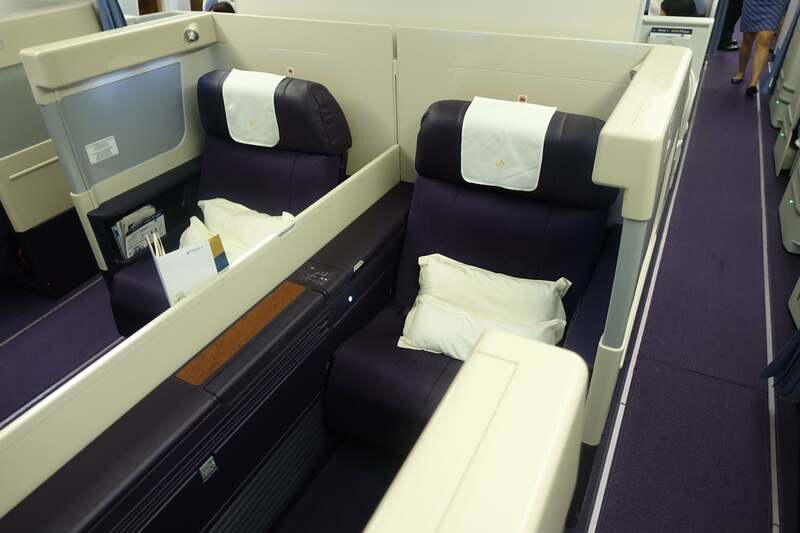 I’m flying back on China Eastern later this year, which is a much better product with fully closable suites. I think China Southern is an acceptable ride, but the business-class cabin looked really cramped, so I would not recommend it for anyone who’s more than six feet tall. The lounge experience left a lot to be desired, but that could be improved easily. 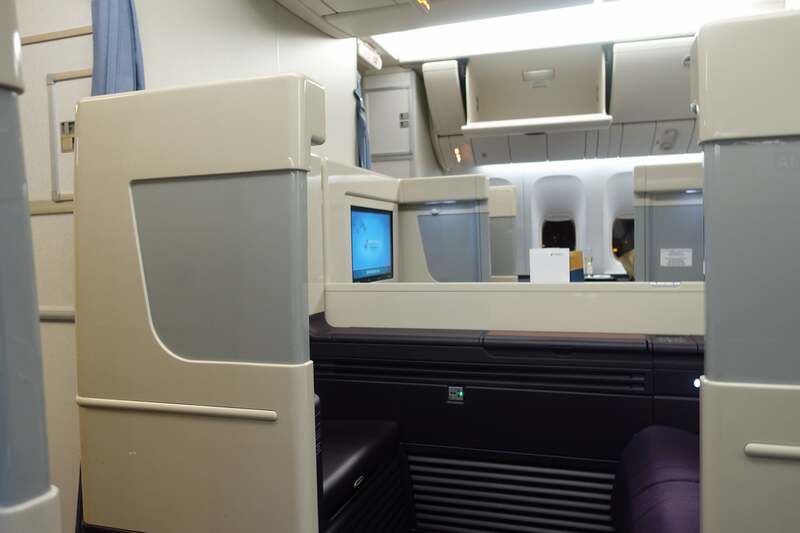 I’m 6’7″ and slept like a baby — I wasn’t expecting much but in the end China Southern delivered. It got me where I wanted to go safely and I managed to sleep 11 out of 15 hours, so it’s a win in my book. 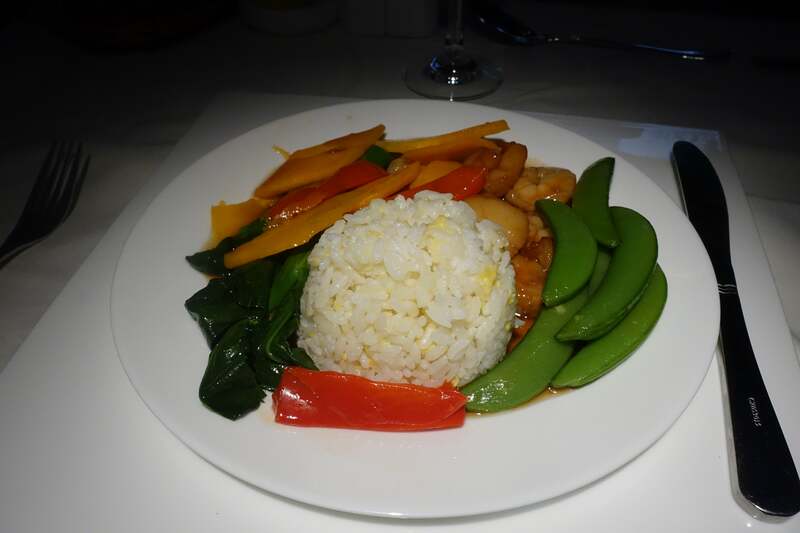 I would take it again because time is money and being able to fly nonstop, especially on a quick trip to China is good, although it pales in comparison to Cathay Pacific’s First Class. 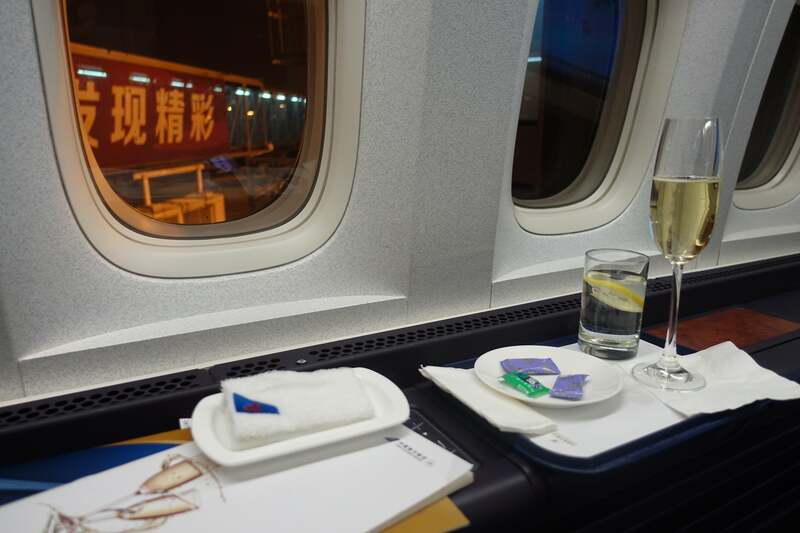 Have you ever flown in first class on China Southern’s 777-300ER? Tell us about your experience, below.